(May 2012) When I talk to professional investors, I always want to know the key to their success. How easily can I copy what they do? 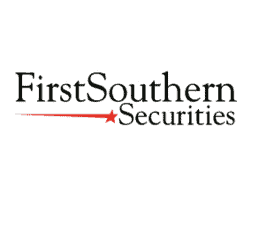 I recently talked to Vasileios Sfyris, a municipal bond trader with First Southern Securities. Vasileios is a value investor. He is looking to buy bonds on the cheap and is particularly interested in bonds that no one else is looking to buy. While he is willing to buy almost any bond at the right price, he has a strong sense of where he is likely to find value in the municipal space. Why does he find value in Distressed Municipal Debt with the above characteristics? The number of potential investors interested in an unrated distressed debt issues with less than $30 million in outstanding debt, is small. Bond funds generally stick to rated issues. Hedge funds and other large investors are generally only interested in distressed debt if they can take a sizable position. As a result, the demand for this type of debt is fairly limited, enabling Vasileios to buy the debt cheaply. One of the ways he finds distressed debt that meets this criteria, is by checking “Bids Wanted” on Bloomberg. Every morning he can see a list investors that are looking to sell their distressed debt. Vasileios made very clear in the interview that cheap and good value are not the same thing. He takes a very close look at the bond’s payment history and the assets which collateralize the bond. For example, if its an apartment complex he will research property values in the area and speak with the property manager. In many cases, he will visit the actual property. For health care facilities, a key issue is who pays the bills. For example, a health care facility in Illinois may have to wait 7 – 12 months for state reimbursement, whereas in other states will receive state payments much more quickly. What other factors does Vasileios consider when investing in Distressed Debt? One that surprised me was who the trustee is for the bond. A trustee that is bondholder friendly is extremely important in terms of being able to reach out to other bondholders and, if necessary, put pressure on the issuer to sell the asset or force the issuer into bankruptcy (which will lead to the sale of the asset). Unlike a traditional bond investor, who definitely does not want their bonds to go bankrupt, distressed debt investors are not afraid of bankruptcy. Instead, if a bankruptcy is likely, they want to know how much money they are likely to receive, and how quickly they will receive it. If a distressed debt investor buys a bond for 40 cents on the dollar, and is likely to get over 60 cents post-bankruptcy in a year, that is a good investment. After listening to Vasileios, I was convinced that individual investors should not be trying to pick winners or losers in the distressed debt market. To be a successful distressed debt investor requires both expertise and a lot of hard work. However, it does offer some nice potential returns. Vasileios aims for a return of over 15% a year. Since they started QE2, margtoge rates have gone up slightly. The whole scenario is shaky. If there is even a whiff of inflation then rates could really rise. On the other hand, if things calm down you might gain the 1/4 % back. I would lock in if it were me. Get a set rate that is locked for 30 days. If rates trail down then push out the closing and lock in at the new rate.